Norma was one of the first professional female livestock auctioneers. Following in her father’s footsteps, she gave up her dream of becoming a concert violinist for the livestock arena. 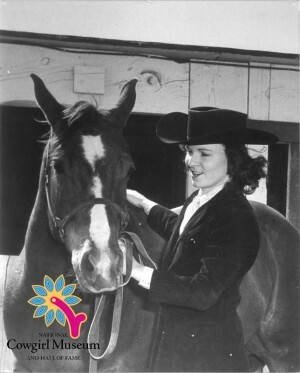 Overcoming prejudices against women in the arena, Norma became one of the most popular auctioneers in the country. People attended auctions just to hear the deep voice of “America’s Only Cowgirl Auctioneer,” a title she earned during her career in the 1950s and 1960s.